Heather was very thorough and professional every step of the way. From the time I called to the time I signed the leasing agreement at the end. It was a very easy process and I felt knowledge and comfortable by the time I left. Easy to get around their entire facility, its clean and is in a visible location to get to. I'd recommend renting a storage unit here! 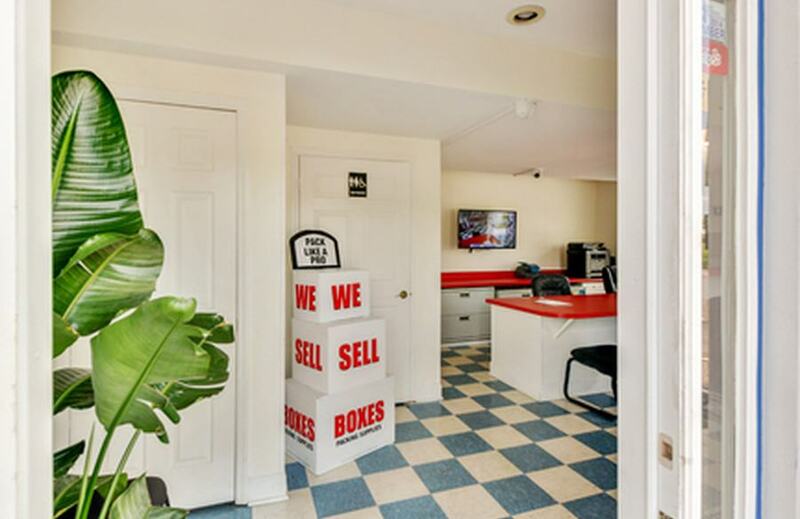 Outstanding customer service, storage site clean, well lighted, easily accessible and reasonably priced. Highly recommend. Friendly , helpful , efficient, and informative! Great experience! Great people in the office. Extremely helpful. Easy location to get to. If you want the best service ask for Heather and Karen. This facility was very clean, very organized, and very efficient. Karen was especially friendly and very nice to work with. Out of all the options we considered, we're glad we chose US Storage and this location. Thanks! Absolutely had a great experience here. Heather is so professional. She told me last week that she would call me as soon as she had an available unit, and she kept her word. I got my storage unit today. I will recommend this place to my friends and co workers. Very clean environment and friendly staff. Thanks again Heather! Rented my first unit today! Everything went smooth and quickly as we needed to move in fast. Very nice lady at the front desk, coffee provided at the desk so that's always a plus with me! We now have everything moved in and I don't have any complaints yet! I will be returning after the next rain to make sure the unit stays dry. Until then, everything is going great and I'm happy with my unit. Prices here were cheaper than a local competitor at the corner of Nolensville Rd and Old Hickory Blvd! Great experience here! Clean convenient unit at a good price. Heather and Karen are great -- helpful, professional, and were nice to work with. Very friendly and helpful staff, great rates and convenient location! Great customer service! The ladies at the desk were so sweet and helpful, and they were both efficient and gracious for our using their company. I highly recommend. This was my first experience renting a storage unit, and both Jessica and Karen were great at facilitating the process! Jessica answered my questions before I came in and Karen gave me a tour of the available units when I requested a different one than the original they offered. Both of them were very patient and helpful. I haven't had any issues in accessing my space - I would use them again in the future. Bear in mind that most of the storage is behind a gate on a steep hill, which can be little nerve-wracking getting up it. However, I think the location is perfect off Nolensville (and the hill too - weather-wise and all). Karen was super nice and very informative. She answered all of my questions and was very patient. Thank you so much Karen! I definitely be renting a unit from you soon. Excellent customer service Jessica and Karen went above and beyond to get us exactly what we needed. Quick, easy and affordable. Mary was very courteous and helpful. Highly recommended. Katie was a great help to my family! Save me lots of money! Karen was so incredibly awesome! She was super friendly, efficient and went above and beyond to help me and explain the process! The facility was nice! Even her boss who lives in Florida was extremely prompt about responding to a question! Glad I chose to use them! I would highly recommended this for any and every one . Ms. Karen was very good to me thanks. We have had a great experience with Karen and Jessica so far. They were very friendly and helpful with securing a storage unit for us. They were very straight forward with what we will be charged and even gave us a deal because they only had one unit that would work for us. Very professional and very nice. Would recommend 10/10. Great customer service from their entire staff. Highly recommend them! Super helpful and fast friendly service from the front desk, AND spacious storage units at affordable rates!! Been using U.S. storage for going on 3yrs now without ever having a problem. Ladies that work here are fabulous and so helpful. They worked with me even around the crazy events. I moved in for about a week then moved out when decided to stay in Nashville. I will use them again hopefully longer than a week. That crap it's exhausting! Ray and Karen were awesome! Provided a preview of the unit. The location is convenient and clean. Very well maintained. Excellent choice for storage in Nashville. Friendly, professional, pleasant! Seems like a good price compared to other places in the area I looked at. Ray was great! My experience at US Storage was more than good! Ray was not only helpful he was very accommodating to my schedule and my needs. I would highly recommend this facility to anyone looking to store away from home! Thank you Ray for everything! Karen was very nice and helpful in setting up our storage unit. The facilities are very nice, she took us on a golf cart and showed us where the unit was. Much nicer than other storage units I have rented before. Ray was so nice and accommodating. I was in and out quickly and exactly what I needed for storage. Clean. This is my second time using US Storage Center. Great services and ask for Ray, the manager. One of the nicest mangers I've met. Karen was amazing!!! She helped me find the perfect unit for my needs and get the most out if the discounts offered. The facility looks safe and secure. 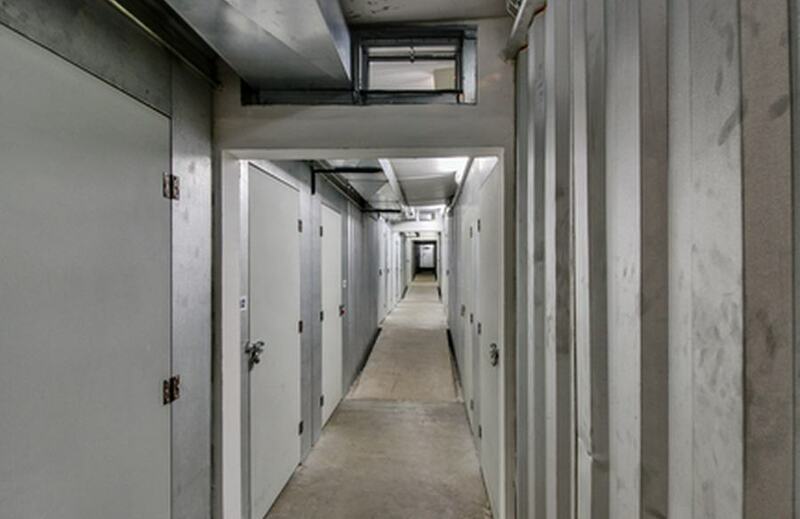 I feel very comfortable and confident with my decision to use this storage facility. PS: Karen deserves a promotion! I was going to check out a different storage facility after checking out this one, but I felt so comfortable with this facility after speaking with her. I decided to move forward and feel excited! It was great deal with this storage! The stuff was so friendly!! Of course the storage was pretty cool! 2nd time using this location! Such a great place. Won't find another place better then this. Great prices!!! Great customer service !! If you ever need a place to store your valuables. its the place to come to affordable and the best customer service you. Can't beat that. Last time i rented a storage was at the place down the street from them storplace on old hickory blvd they were rude and all kinds of other stuff. This place was extremely great with me. Karen was great!!! She is the reason this place deserves a 5 star review. Great atmosphere! Great place, very helpful. It was great deal with this storage! The staff was so friendly!! Of course the storage was pretty cool! Brett is super friendly and very helpful and the facility is nice and smells great! Very fast and friendly service. Got in a unit within half an hour. Highly recommend. Thanks! Karen was awesome. She was very helpful in finding a unit that worked for me. 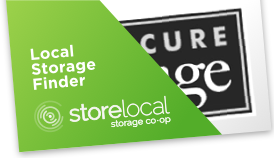 Best prices around town and I would recommend using them for your storage needs. They had the best price in town and the staff was very friendly. Brett was very helpful and nice at all time. Thanks for your help. Brett. The guy that helped me with my storage unit on Nolinsville Rd. Nashville Tn 37211. Very good at his job and is a credit to your Company US Storage. Great place for storing! Brett is very nice and helpful in finding you a good spot for your needs. Thanks! Brett was very helpful and thoroughly explained everything. He was very accommodating and escorted me to my unit which was in great condition. He also offered me a better promotion than I thought was available. Overall great experience! Brett was very nice and professional! Helped us out when we needed a storage unit very last minute. I would highly recommend! Brett & Sandy was very nice and professional! He really helped us out when we needed a storage unit very last minute. I would highly recommend going to them if you need storage they are the best in the area! Best facility in town Brett & Sandy made storage process a wonderful experience. I have no complaints and will be sure to recommend anyone to them. Had a great visit at this location. Husband and I are looking for storage facility and Brett made that decision easy. Very knowledgeable and friendly. We will definitely be using this location. Great experience here! Clean convenient unit at a good price. Staff are helpful, professional, and were nice to work with. 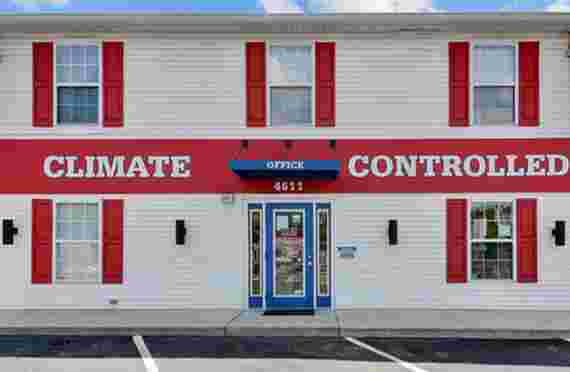 Follow up a couple years later: Summer climate control in units is very good. Price went up but still good value. Store stuff here! 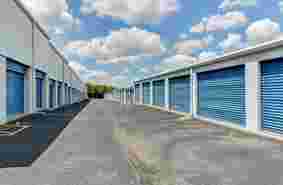 VERY BEST STORAGE FACILITY IN NASHVILLE OR ANYWHERE!! I honestly don't even know where to begin. US Storage Centers on Nolensville Pike near Haywood Ln is the best storage facility I have ever used & I have been renting storage units for nearly 15 years! The manager, Brent Schwarz, is the most professional, kindest, & friendliest storage manager anyone could ever meet! He truly is good people & genuinely cares about his customers! I have never experienced anything like that from a storage company & I will never again rent from anyone else! If you're looking for a storage center in Nashville, this is the one to go to! Thank you so much, Brent & US Storage Centers! Thank you Brenda for making my transition to store, move and travel an easy one! I can now fly in peace! Gracias! Love the staff! They gave us a really good discount! Inexpensive, Secure, Convenient, and most importantly GREAT CUSTOMER SERVICE. The manager, Jessica, was not only accommodating but genuinely considerate and kind. Even Karen, another lady that works in the office (who I thought was going to strangle me), was notably patient with me despite my hastiness. I can be impetuous and both these ladies were good sports. Customer Service is VERY important to me and with that excellence exhibited at this facility along with the convenience of needing, reserving, and occupying the unit all within 1.5 hours (if that) PLUS the sense of security upon my departure there is only one reason I cannot give five stars and that's the minor disadvantage of not having 24 hour access to my unit. Maybe this review will grant me such permissions! The manager, Jessica, was VERY nice. Her communication with me was awesome! I would definitely recommend this storage site to others. Climate control was relative. Like between 90 and 50 degrees. Which I guess is acceptable for storing some things. I think what I did not care for the most with them was the constant price increases.